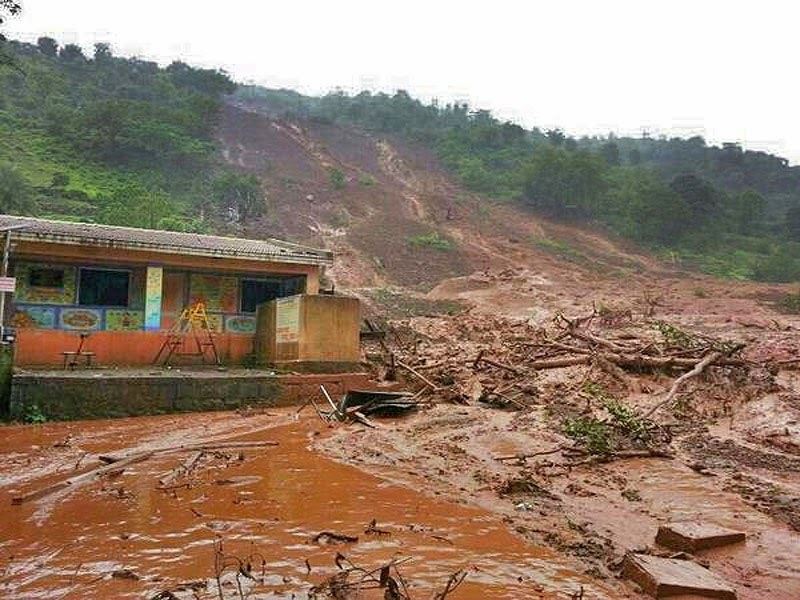 "Casualties were feared as nearly 200 people were left trapped inside houses on a hillside following a landslide in Maharashtra’s Pune district on Wednesday. Police official Vinod Pawar told mediapersons the landslide struck Malin village in Ambegaon tehsil around 5am after heavy downpour loosened earth and dislodged rocks and boulders. At least 40 houses were feared buried under the debris from a hill that collapsed while residents were sleeping. Television footage showed the side of the hill shaved off, with large amounts of mud, muddy water and logs piled below." Having worked on landslides for the past 7 yrs, I am pretty much sure the number of deaths will climb to much higher than the 10 being reported now. b. Anthropogenic factors also added to the landslide trigger (since the region had a huge deficiency in rainfall till recently and IMD AWS rainfall data for the last week does not really show catastrophic rainfall).